Coast RosemaryEvergreen shrub. Dense rounded form. The small white flowers bloom along the branches ..
Coast RosemaryEvergreen shrub. Compact, dense rounded form. The small bluish-purple flowers bloom al..
Sorrento Coast RosemaryEvergreen shrub. Rounded habit. Soft bicolor cream and green rosemary-like fo..
Coast RosemaryEvergreen shrub. Moderate growth rate. Loosely branched spreading form. Small narrow n..
Coast RosemaryEvergreen shrub. Compact, dense form. 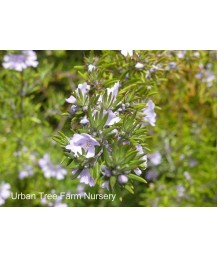 The small mauve flowers bloom along the branches..
Coast RosemaryEvergreen shrub. Moderate growth rate. Loosely branched rounded form. Small narrow nee..
Coast RosemaryEvergreen shrub. Low, spreading habit. 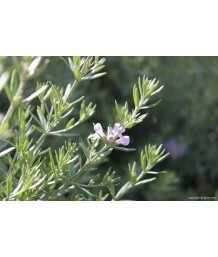 Small, dark gray-green leaves are similar to ro..
Coast RosemaryEvergreen shrub. Medium sized, compact form. Tightly crowded linear leaves have a crea..